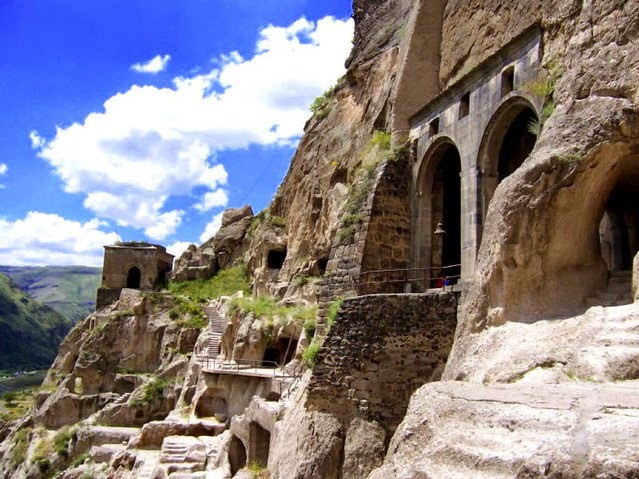 Tamar the Great, "King of Kings"
Born about the year 1160, Tamar of Georgia was the daughter of Giorgi III, king of Georgia, and his wife, Burdukhan of Alania. 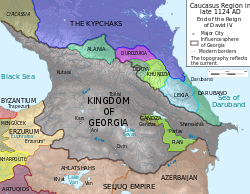 The medieval kingdom of Georgia was uniquely located between eastern Europe and Asia (see the map, below). Tamar was named as her father's heir and co-ruler in 1178. Although there was opposition to the idea of her succeeding her father as queen regnant, Tamar's reign was a Golden Age in Georgia, a period that saw Tamar's consolidation of her father's empire through diplomatic and military success accompanied by a flourishing cultural outburst in religious and secular literature, architecture, historical writing, philosophy, science, and the development of commerce. 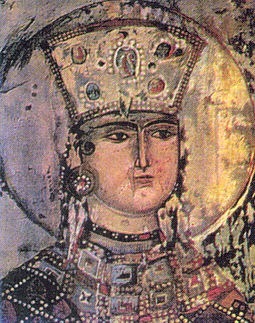 Tamar ruled for nearly thirty years, from 27 March 1184 until her death on 10 January 1213.